Priced to SELL! A beautiful, must see! Perfect villa in amenity community with low fees, and just minutes to beaches and all that Bonita Springs has to offer. Furniture is negotiable and high end finishes include: granite counters throughout, stainless appliances, upgraded 42" staggered cabinets, designer backsplash, recessed & pendant lighting, glass French doors to den, glass front door for loads of light, tray ceilings. Master bath has dual sinks, walk in shower with built-in seat, soaking tub and water closet. Outdoor features include an attached 2 car garage and screened in patio providing peaceful lake views. This home shows beautifully and has a lovely western view across the lake and taking in the fabulous Florida sunsets. Enjoy the open kitchen and great room, French doors on the large den ideal for 3rd bedroom, large lanai, generous pantry, 2 car garage and much more. There is nothing to do but move in! 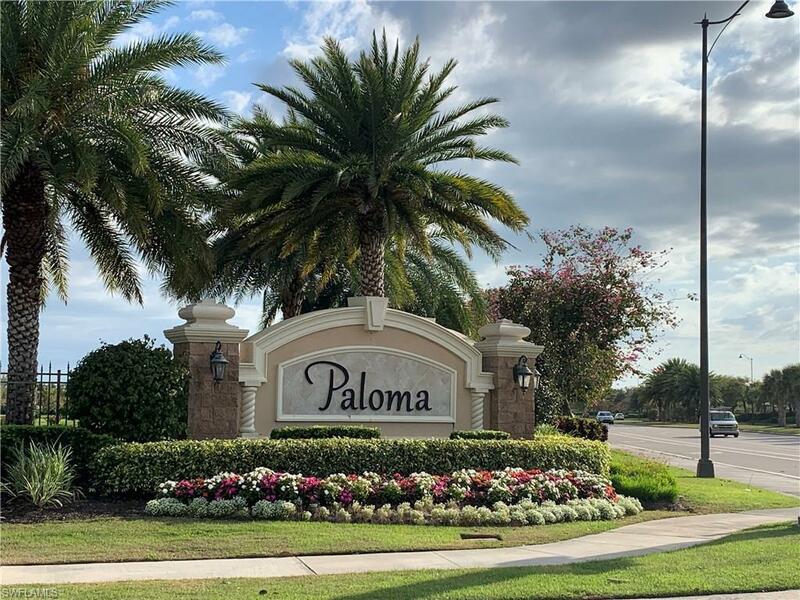 Paloma is a low density, low fee gated community off Imperial Parkway and offers a community pool and spa, two tennis courts, bocce, and very nice fitness center. If you are looking for a simple and relaxing lifestyle, look no further.